First Bangladesh Television channel was broadcast in the year 1964. Until 1990 BTV was the only Terrestrial Television in the country. ATN Bangla was the first private satellite TV channel in Bangladesh. ATN Bangla channel started operating in 1997. Terrestrial broadcasting networks: Bangladesh Television is the only terrestrial Bangla station in Bangladesh owned by the Government. BTV, Independent Television, Diganta Television, Ekushey Television, ATN Bangla, Banglavision, Boishaki, Mohona, Bijoy, Channel 1, Channel I, DeshTV, Islamic , MyTV, NTV, RTV, Channel 9, BTV World, Somoy, Sangsad Bangladesh, Maasranga, GTV. Most of the Bangla TV channels are broadcast from the Telstar 10 satellite with the exception of ATN Bangla which is broadcast from Thaicom2/5. ATN News is a first 24 hour Bangla news oriented TV station. This television is a sister concern of first private Channel ATN Bangla. ATN News began its first transmission on 01 May, 2010, after completion of test transmission officially went on air on 07 June, 2010. It is Live Bangla news channel in Bangladesh. if you can not set Frequency properly contact channel local agent. Channel 9 is one of the Bangla satellite TV channel . It began its test transmission on 8 April 2011. This channel is focusing sports also. BTV World is a sister channel of Bangladesh Television. BTV channel started worldwide broadcasts through its satellite based branch, BTV World . Transmission mode : Free to air. Maasranga television boardcasting in Bangladesh, North America, Asia, Europe, and Africa. Address: 2 No. Bir Uttam Ziaur Rahman Rd, Banani, Dhaka1213. Independent Television Ltd is a Bangladesh Television channel owned by Beximco. Independent television channel has started broadcasting from October 30, 2010. Independent Television channel cover national and international news as well as business , entertainment, sport, science, and political news. 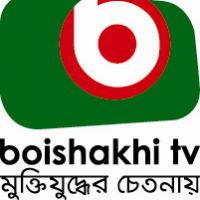 It is a 24 hours Bangla TV channel that has a live stock exchange update show called Byabshapatir Sharadin from Sunday to Thursday, online tv available for this television. Address: Gazi Satellite Television Ltd.
Ekattor is a private Bangladesh Television channel. Ekattor television launched on June 21, 2012 with a different slogan “Sangbad nay Songjog”. Ekattor television channel has a website for recorded news update. 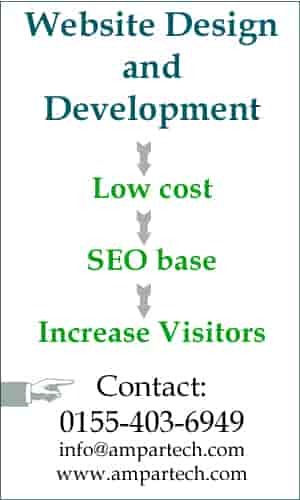 Most of the buttons at the website are Deshjog, Bissayjog, Khelajog, Anandajog, etc according to their slogan. Ekattor Journal is one of the popular talkshow of Ekattor. It is streaming channel online. 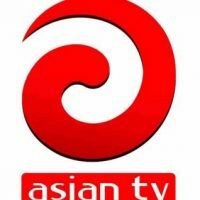 SA or South Asian Television is a private Bangladesh Television channel owned by SA Group. SA television channel is the first ever channel in Bangladesh using both HD & 3G Technology. SA full transmission started on 19 January, 2013. Bangla Live telecast available. 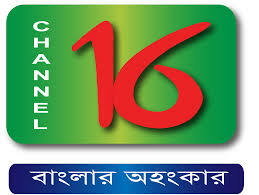 Channel 16 television is the first Music Entertainment private Bangladesh Television channel owned by Insight Telecast Company Limited. Channel 16 started transmission on 16 December, 2011, online streaming also. Bangla Tv channels’ programs available on internet for world wide Bangladeshi. If you living outside Bangladesh you do not need to buy dish, receiver even television or no need setting satellite frequency just go to internet and watch streaming Bangla TV. If you have own dish and receiver you can set frequency of channel I, Atn Bangla, BTV, ETV, SATV, Gtv, masranga tv or other Bangladesh Television channels easily. This satellite frequency should be settled by experienced person. Most of the TV Bangladesh station using Telstar 10 satellite frequency to broadcasting 24 hours news and other programs. Frequency and orbital location make it easy to find a channel within few second. Without proper setting of frequency your display will blinking and you cannot watch programs and sound clearly. Visit each link of TV of find exactly frequency. Bangladesh Television channel should can advertise with a sidebar during any important programs. Most of the Bangladesh TV now showing 4 minutes advertisement that is also not suitable for watcher. Sometime displaying same advertisement for many times in BangladeshTV. Bangla tv chanel viewers try to switch to another chanel or Indian Channel for better entertainment. Many tv channel Bangladesh blinking due to configuration problem of Bangla channel frequency number. So it is important to configure v-sat position and other parameter accordingly and accurately to watch fine tune and clear voice. You can contact with cable operator for Bangladesh Television frequency. You should know accurate Bangla tv channel frequency to see quality programs. Bangla tv channel use Thailand base Apstar / telstar satellite for broadcasting Bangladesh tv news and other programs. Bangla desh TV now can be watched at online website. Click on any one from above Bangla tv channel list to get details. These Bangla all tv offices are situated in Dhaka, so you can reach them easily through telephone number, even you can find any tv address from all tv channel list in Bangladesh as mentioned above. We have listed here atn Bangla live, channel 9 bd live, channel 24 bd, gazi tv Bangladesh, channel 5, g tv bd, desh tv channel, rtv live, bijoy tv bd, channel i, all bd online tv, any other Bangladesh TV or Bangladesh Television channels, etc. 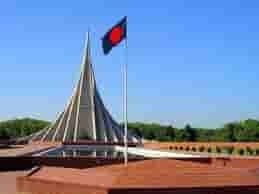 News : News of Bangladesh Television is very for Bangladeshi living outside the Bangladesh. Most of the channels have every hour news in addition to Prime news at 7am, 9am, 2pm, 8pm, 10pm and late night news. Drama and Serial: Every private television has its own drama and serials. Music: Bangla Folk, modern, Rabrandra Sangeet, Nazrul Geeti, etc. Business: Sharemarket, Bank news, product and dailyconsumptedcommodities price, including meat, fish, vegetables, rice, oil, etc. Television is the best gift of modern science. Without television our life is very difficult. Television is the main technology in these days that helps us to communicate with whole world. Just whole world comes to our homes. Many programs we can see live on Television from our homes like latest news, invention, civilization, political talkshow, educational, technology, culture, business and trade, weather, sports, entertainment and more. We can learn many things from television programs. There are also bad effects of television in our daily life. Sometime television gives us baseless information or manipulating news that impact our social life. We should be careful in using television and we should take good things from other culture by watching television. Bangladesh Satellite frequency allocated for all Bangla Channel. The Authority requested to Bangla TV Channel to use Bangladesh own satellite to save money. Day by day, owner of Bangladesh TV channel changing their Bangla all tv channel frequency to Bongobondu satellite. This way, All Bangla TV channels do not need to send money to other country for satellite. 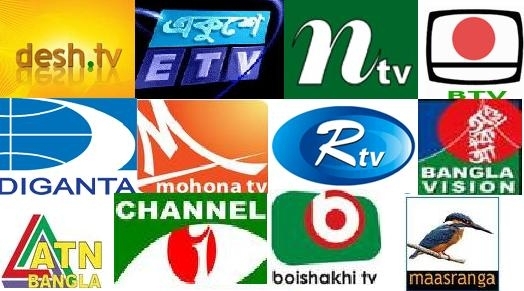 If you want to update your all Bangladeshi TV channel list with Bangla tv frequency new 2019, you can check your desire TV channel of Bangladesh in this page. We have updated Bangla all TV channel list information, frequencies, satellite name, orbital position recently in 2019. Most of the Bangla tv frequency 2019 updated with Bangabandhu satellite frequency. From this Bangladeshi TV channel list page you can visit other separate Bangla tv channel page also. if you see any information is incorrect please let us know by sending email to info at mediabangladesh.net, Do not forget to mention about Bangla TV frequency 2019, if required.